You are losing power by running that rich. I tell you this you wont blow your motor up. Try getting your air fuel to 11.5 to 11.9 that is pretty safe. I need an AF guage. 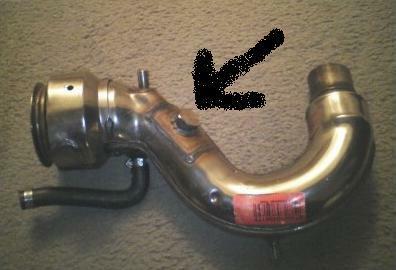 Whats involved in the installation & what a good guage? I just got mine done today. Silver Bay, Toms River, N.J.
Over here in NJ there are two of us that run B-chargers with the Riva ecu. We run 50 lb injectors! Why on earth would you think 55's are going to help you? You need to run 50's; especially in the warmer weather. If you're running 13 lbs of boost and 8500+ rpm, then 55's might be "safer" in the cold. We all run a/f meters and have checked it over and over. Wot with 50's and a b @ 8550 gives 12.1 to 12.5 afr. My guess is the a/f # you got was not accurate. Just my .02. Scott, 55's in the winter (cooler) months. 50's work just great in this heat. There will be lots of guys that should be able to help. I really don't want to commit as i will be pulled in 1000 different directions all week long. RR ECU and 42s runs rich? RXT-X 300 - Must do for longevity? Are you using the boost refernce line on the RRFPR?